Developed by “America’s Veterinarian,” Dr. Marty Becker, the Fear Free initiative aims to “take the ‘pet’ out of ‘petrified’”. “Fear Free is so pleased to be working with GNFP Digital/Germinder on our public relations initiatives. It is important to us that our vendor partners truly understand the Fear Free mission and programs. GNFP Digital/Germinder has shown tremendous passion and knowledge about our company and initiatives. Couple that with their extensive industry experience, and we see a sure path to a successful collaboration,” said Ruth Garcia, Chief Operating Officer, Fear Free, LLC. The agency will provide strategic counsel and handle trade; national and local market media relations and related digital media. Initial assignments include the launch of Fear Free Happy Homes and the book launch of “From Fearful to Fear Free a positive program to Free Your Dog from Anxiety, Fears, and Phobias.” The book, due out next spring, is authored by Marty Becker, DVM, Lisa Radosta, DVM, DACVB, Wailani Sung, PhD, DVM, DACVB and Mikkel Becker, KPA CTP, CBCC-KA, CDBC, CPDT-KA, CTC. “We are honored and delighted to work with Fear Free. Through Dr. Becker’s sheer determination and the hard work of so many experts I hold dear, Fear Free has grown by leaps and bounds in a very short time. The opportunity to work with him, Ruth Garcia, and the Fear Free team to bring this life-changing program to the pet-owning public is a very special opportunity,” said Lea-Ann Germinder, APR, Fellow PRSA, President & Founder, GNFP Digital/Germinder. Developed by “America’s Veterinarian,” Dr. Marty Becker, the Fear Free initiative aims to “take the ‘pet’ out of ‘petrified’” and get pets back for veterinary visits by promoting considerate approaches and gentle control techniques used in calming environments. Utilization of Fear Free methods and protocols leads to reduction or removal of anxiety triggers, which creates an experience that is rewarding and safer for all involved, including pets, their owners, and veterinary health care teams. The end result? Calmer, more accepting patients, more compliant clients, and better veterinary care. For more information, visit http://www.fearfreepets.com. Fear Free Happy Homes was launched in August 2017. For more information visit http://www.fearfreehappyhomes.com. 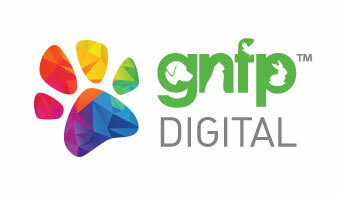 GNFP Digital/Germinder combines the power of Germinder & Associates’ almost 20 years public relations expertise with GNFP Digital’s real time social media expertise and the Goodnewsforpets.com publishing platform. The award-winning full-service agency has offices in New York City’s Soho West District and Kansas City’s Crossroads Arts District. The agency provides strategic counsel, digital publishing content and campaigns for niche markets including vet and pet industries and organizations. Iconic initiatives the agency has helped create include Pets Need Dental Care, Too!, The Catalyst Council, KNOW Heartworms and the Kansas City Animal Health Corridor. The woman-owned agency is a member of the PR Council. Agency founder Lea-Ann Germinder has won numerous awards including the Kansas City Business Journal Kauffman Foundation Women Who Mean Business Award. She is a member of the national Women Presidents’ Organization and many other leading women’s groups. The agency will celebrate its 20th anniversary next year. Connect with GNFP Digital on Twitter and Facebook.